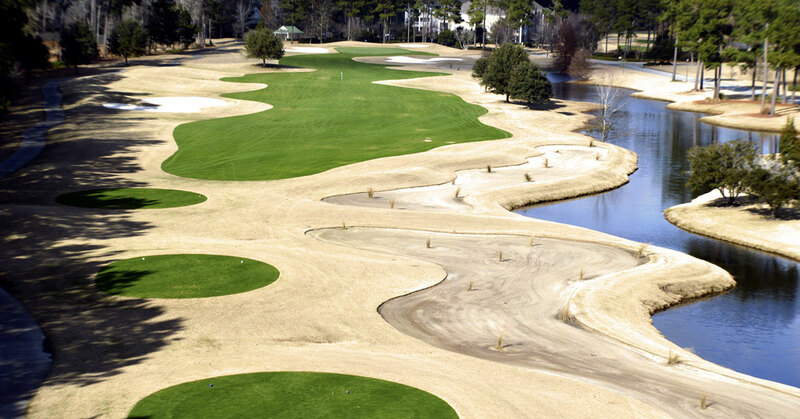 Crow Creek Golf Course is located in Calabash, NC on Highway 17, only 2 miles north of the NC/SC state line. This is only a short drive from the Myrtle Beach and North Myrtle Beach areas. Since Opening in February 2000, Crow Creek Golf Course’s reputation has soared. As a result, it has become one of the most popular golf vacation destinations for visitors to the Myrtle Beach area. The course was created by architect Rick Robbins, who was a former Jack Nicklaus design associate. Crow Creek is a scenic layout set on developer Jerry McLamb’s 500-acre family homestead. A clubhouse renovation furthermore added to the course amenities. Newly installed V8 Creeping bent grass greens, have been raved about since their October 2017 debut. Crow Creek is the only course in the Myrtle Beach area with this type of bent grass putting surface. Golfers that have experienced Crow Creek have made it a “must play” on their return visits to Myrtle Beach, South Carolina. Comments are received on a daily basis praising the imaginative layout. Many more are received praising the undulating bent grass greens and the manicured Tif Bermuda fairways. Visiting golfers also take advantage of the beautiful beaches of the surrounding Brunswick Islands. Likewise they have the convenience of being a short drive to both Wilmington, NC and Myrtle Beach, SC. Crow Creek is part of the popular East Coast promotional packages. They offer great tee time discounts, as well as gift cards with certain packages. Play Crow Creek and three others from a list of twenty-three, and each golfer gets a $100 gift card. This gift card is redeemable at all four courses for Food / Drink / Merchandise / Same Day Replays.